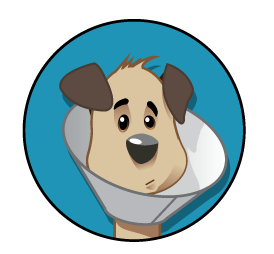 What happens when your pet is injured or sick and needs emergency medical care? Are you able to pay the emergency vet bill? 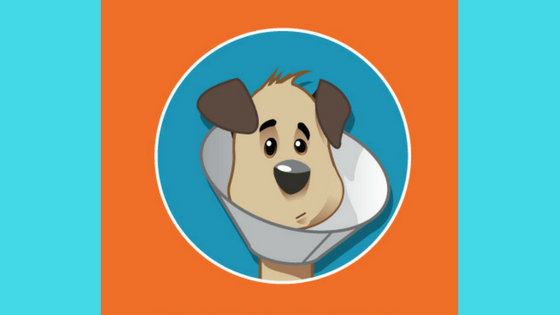 Unless you’re one of the less than 1% of U.S. pet owners that pay for comprehensive pet accident and illness insurance, you may find yourself looking at a staggeringly expensive emergency vet bill without the means to pay it. When you’re in this situation, how can you go about paying for a necessary emergency procedure for your sick or injured cat or dog? There are options, some better than others. Savings, for example. For the lucky few who have been saving over the years — for a vacation, for college, for retirement — at least there is a ready source of cash to pay the bill, even if it means borrowing against the reason for the savings. But, unfortunately, we’re not a nation that has a great habit of savings. In fact, according to the U.S. Federal Reserve, almost half of all Americans would not be able to come up with $400 in cash for an emergency, let alone the many thousands of dollars that an emergency vet visit can set you back. Here are some examples of the cost of bringing your pet back to health, according to Trupanion, one of the companies offering pet insurance, if your dog or cat eats something that cannot be passed through their digestive system, the surgery could cost upwards of $3,000. And the costs only go up from there: ACL tear – $5400; liver failure – $5400; car accident – $3700 for hip repair. Emergency vet visits can be phenomenally expensive. And the sad fact is that most people just don’t have the insurance or the savings to cover their pets’ emergency medical expenses. According to the American Pet Health Association, in 2015 1.4 million pet owners carried insurance on their pets. That may sound like a lot, but there are many, many more dogs and cats living with us – a total of nearly 150 million according to the American Veterinary Medical Association’s most recent numbers. Which means that a pet owner facing an expensive emergency procedure for the family dog or cat will need money and, due to the nature of the emergency, need it fast. Some turn to plastic, maxing out their credit cards to pay for the unexpected veterinary emergency room visit. But even that seemingly quick access to funds comes with its own issues, including the locking up of credit that will not be available for other needs and other emergencies. Also, many credit cards now have variable interest rates, lending uncertainty to how much that operation will really cost. For many people, a fixed-term personal loan may be the answer. These kinds of loans require no collateral and are for the exact amount you need, with a certain payment period (typically 24-48 months) and fixed rates and payment amounts. That’s what we offer at LendingPoint. We’re a personal loan company that knows that the traditional banking and credit business may not offer the ideal solution for everyone. We provide personalized service, loan offers in minutes for many people and, if you qualify for a loan with us, payment into your bank account as quickly as the next business day. If you find yourself asking “How are we going to pay for this?” you should explore your options with LendingPoint. A happy ending to this stressful time could be closer than you think. Click here to get your loan started.